Candidates who do not yet have 5 years of information security experience in at least 3 of the 5 CCISO Domains can still pursue a management certification to help propel their careers and put them on fast track toward obtaining the CCISO. EISM students must attend training – the same CCISO training that upper level executives attend – before attempting the EISM exam. There are no experience requirements for this exam. The courseware and training programs are exactly the same as those of the CCISO program. Imagine being able to push your new information security career forward using the same resources as seasoned professionals. That’s what the EISM program does. The EISM exam is a light version of the CCISO exam and tests the fundamentals of information security management. EISM students are only tested on the basics of information security management while the CCISO candidates are tested on a much deeper level. You have strong management skills and have worked in the information security industry for at least three years. 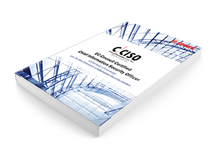 The EISM Exam is based on the same bank of questions as the CCISO exam – questions written by CISOs for current and aspiring CISOs. The difference is, there are scenario-based questions that require years of on the job experience to answer on the CCISO exam. These are omitted from the EISM exam and only the basic information security management questions remain. All EISM students must take EC-Council official training before sitting for the EISM exam. Click here for more information about training options.